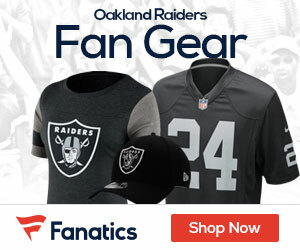 Oakland Raiders punter Shane Lechler, 36, is in the final year of a four-year, $16 million contract signed in 2009 that made him the highest-paid punter in the NFL. Coming into the season having had surgery on his nonkicking leg, Lechler has only of late begun to show the form that has made him the NFL’s all-time leader in gross punting average. It didn’t go unnoticed by Lechler that undrafted free agent Marquette King, a thunder-footed punter with consistency issues, was kept on injured reserve with a foot injury after a weight-room accident in early September. He’ll ostensibly compete for the job in 2013, and here’s NFL Predictions that they let Lechler walk. Shane is the greatest punter in NFL history. I am surprised to keep hearing how Shane’s numbers are down. Game one we lost Condo and three punts were effected. That brings numbers down. He is as good as ever. if we want to let him go for money reason, so be it, but let’s never forget what he contributed to this franchise in what should be a Hall of Fame career. Right, Ray Guy?